Students on the campus of Temple University. Just a week ago, 16 cases of the mumps had been reported on Temple’s main campus in Philadelphia, 10 of which were confirmed cases. The outbreak was reportedly starting to crop up on the school’s Ambler campus in Montgomery County at that time. 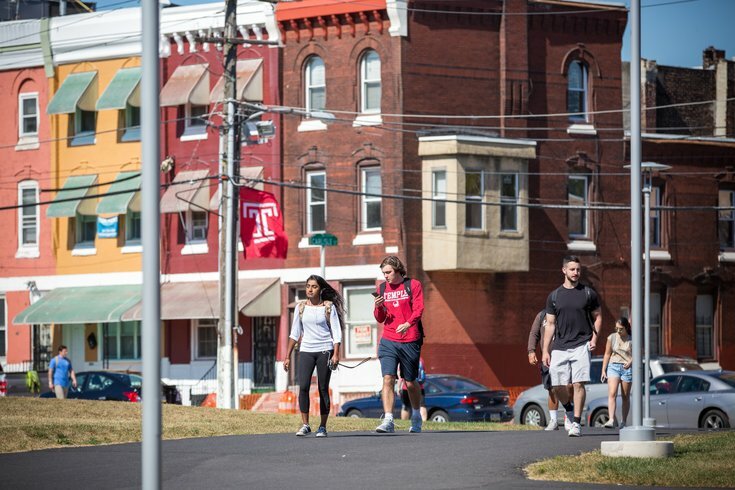 In a message to the student body earlier this month, Temple told students to self-isolate, avoid travel, and limit contact with others if they begin to experience symptoms. According to the Center for Disease Control and Prevention, Mumps is a contagious disease caused by a virus. Symptoms begin with fever, headache, muscle aches, lethargy, and loss of appetite. The more telling symptom is the swelling of salivary glands, which leads to puffy cheeks and a swollen jaw. Since the vaccination program was introduced in 1989, the CDC says, mumps cases in the United States decreased more than 99 percent, and only a few hundred cases of the mumps are reported each year.